The cleverest people have been tricking rocks into thinking, making the best CPUs for gaming while they’re at it. Due to squeezed supply and massively increased demand GlobalWafers chairwoman, Doris Hsu, has announced that the 20% rise will be based on the already inflated prices of silicon at the tail end of 2017. We’d already heard this from Japanese wafer manfufacturer, SUMCO, back in November, and it looks like the rest of the industry is following suit. Hsu is saying the biggest shortages in supply is going to be at the 12-inch / ~300mm wafer scale. And, wouldn’t you know it, that’s the traditional size used to build the bulk of GPUs, CPUs, and memory from. This is… this is all great. Even if it wasn’t for the crypto-gangs, and folk speculating on GPU prices by buying up all the stock they could find, we’d still be looking at massively inflated hardware pricing throughout this year. When are things going to stop being unremittingly dreadful? Please people, someone give me some hope, ‘cos I’m rapidly running dry. Original story November 14, 2017: It’s time to start bulk-buying sand, people. 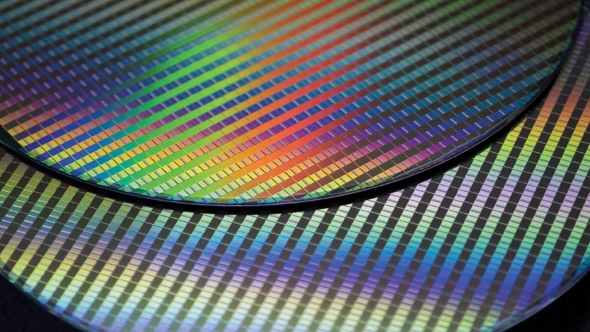 The price of a silicon wafer has risen by 20% since last year and will rise by another 20% in 2018. So we could be onto a winner if we can just find the right buyers for the raw ingredients. That’s how this works, right? A report on Korean site, Etnews, states that SUMCO, a Japanese silicon wafer manufacturer, which it says caters for two thirds of the world’s wafer market, is reporting a 20% increase in the price of silicon wafers compared with the same time last year. That’s not all, they’re also looking to raise the price by another 20% next year, and by an undisclosed amount in 2019 too. The key part of that quote is “planning to increase.” You see, this price hike seems to be nothing to do with supplies of silicon running dry or manufacturing facilities collapsing, at least not for any natural reasons. Demand is continually increasing for the wafers as they form the basis of every chip in every bit of tech you own. 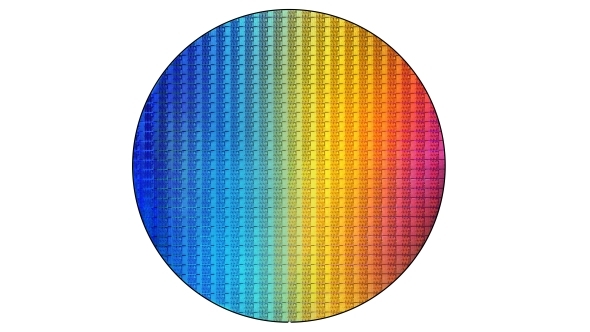 It’s DRAM which is mostly driving demand, with the likes of Samsung announcing extensions of their own production facilities, but your GPUs, CPUs, and NAND flash all start out life etched onto a silicon wafer too. SUMCO estimates that global wafer demands will go up by 1 million units per month to 6.6 million units per month by 2020. But in order to not keep up with demand manufacturers such as SUMCO and Shin-Etsu Chemical are seemingly being deliberately slow at expanding their manufacturing facilities to cope. And with demand outstripping supply they can pretty much do whatever they like with the price, and they seem to like increasing it by 20% year-on-year. So that’s where we are. In short you can expect the price of tech to just keep on going up and up until you’re left with either making the choice of putting down a deposit on a house or on a new graphics card. Either that or we find a new material to build our chips out of.